Asking for survey response on a mobile screen can create a friction-y experience for users. Low screen attention. Small, cramped mobile screen. Tiny text. Question after question. Who wants to deal with that? 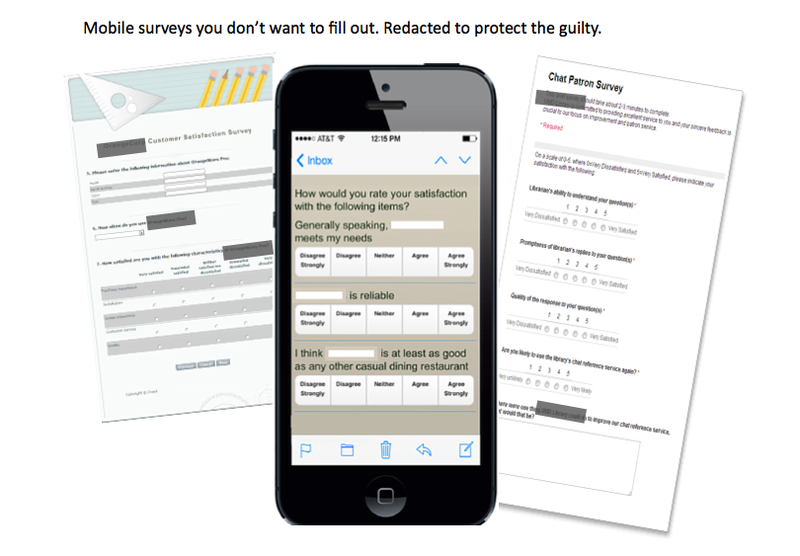 You need a streamlined survey solution that reduces friction but still provides rich feedback. So, how do you overcome the constraints of mobile? Net Promoter Score surveys minimize friction. Net Promoter Score (NPS) is recognized as a powerful measure of customer happiness, and a lean, agile way to elicit meaningful feedback from users. Not familiar with NPS? Here are the basics. The NPS survey consists of a single survey question, plus an opportunity for a quick qualitative response. Because of its simplicity, the NPS survey really shines in the mobile context. Have a look at how it works here on Android and iOS. Surveying mobile users via email can mean low response rates. Until now, mobile businesses have had to rely on email surveys to get NPS user feedback, and email certainly has its place. Trouble is, app developers may not have a user’s email. Even when you do, inboxes are noisy places and readers are less likely to click through from mobile devices. Also, an NPS survey via email arrives after the fact, after your user has left your app. Their attention is elsewhere. For high response rates, ask the powerful NPS question right in your mobile app. You can now show your user an NPS survey in real-time, when he or she is engaged with your app on a mobile device. Users are scoring and commenting in context – feedback is fresh and relevant, which helps make it more actionable. Typically, you will see a 40-60% response rate right off the bat. Surveys can be triggered to suit your business needs. For example, a user could see a survey after she has logged in x number of times, taken a specific action, or 30 days after downloading the app. Using an external platform to manage your NPS process has its advantages. It can scale easily, is hassle free to try and deploy, and frees up resources to focus on the “so what?” — leveraging NPS results to improve your application. A streamlined version of an NPS platform can come free and shouldn’t break your budget. 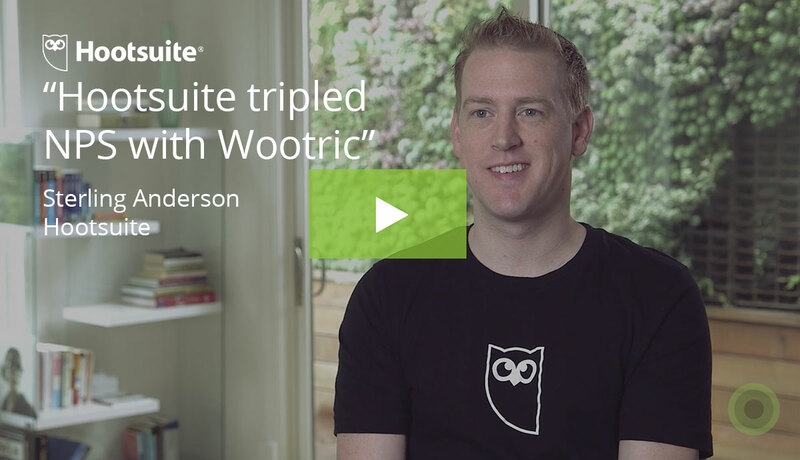 Our tool, Wootric, is one example. 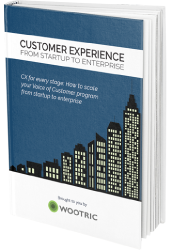 Get the ebook, The Modern Guide to Winning Customers with Net Promoter Score. 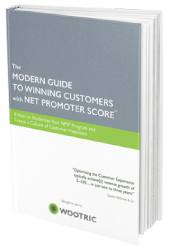 Learn eight ways to leverage Net Promoter Score for customer loyalty and growth. To maintain strong response rates, take action on user feedback. Maybe you filled out a survey once — really took the time to give constructive feedback. Did you hear back from the company? If you did not, how likely are you to fill out another survey from that company? Not very likely, right? For you to continue to garner high survey response rates, your mobile users must know that their feedback matters. 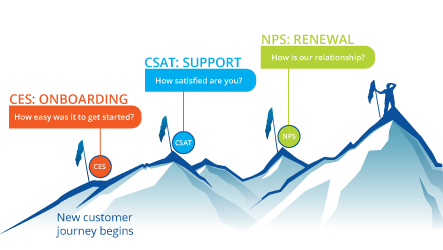 An NPS platform dashboard makes it easy for you to respond. The dashboard is where you can monitor the cumulative Net Promoter Score your app is earning, and slice and dice your data. It is also where you can see individual scores and qualitative feedback from individuals. If your users have accounts and you have the resources, you should respond directly to individuals. You can do so right from your NPS dashboard. 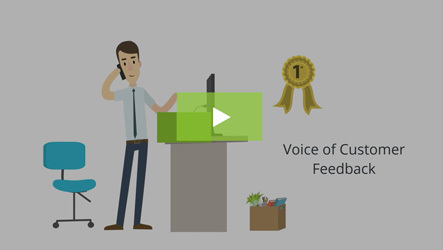 You can also forward feedback to a team member in Customer Support, Customer Success, or Product Management for further action. To streamline the process, you might automate an email response to the bulk of respondents depending on whether they are Promoters, Passives or Detractors. If your users are anonymous, at a minimum, you can acknowledge in software release notes that it was user feedback that revealed that recently-squashed bug, or drove the development of xyz feature. High response rates and rich user feedback are possible in the mobile environment. The streamlined nature of the NPS survey is a great fit for the low-attention span of the mobile user and the constraints of the small screen. 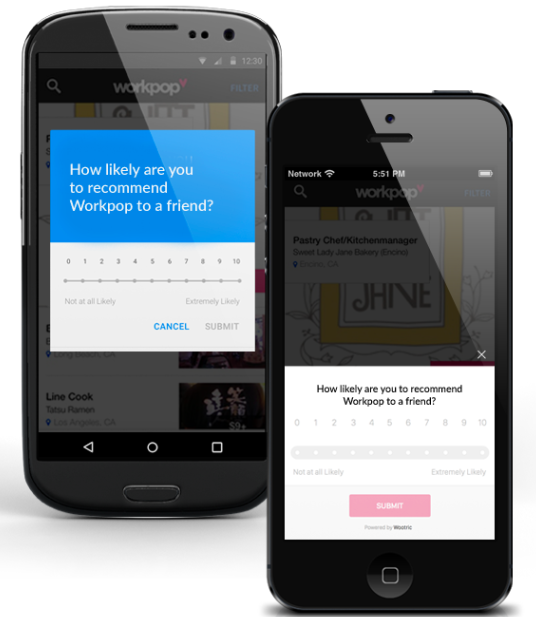 Consider in-app NPS surveys for higher response rates than email. Be sure to show your users that you listen to their feedback, they will be more likely to answer another survey down the line.